Hidden in the stunning Mt Aspiring National Park, a UNECSO World Heritage area. This day trip is a step up in adrenaline and natural beauty! 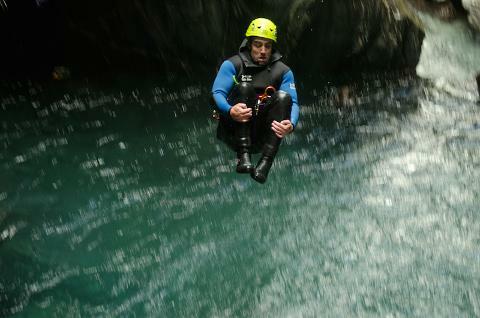 If you have been canyoning before, or you're super confident and looking for a good challenge this is the option for you! Strong swimming skills are necessary. We meet you downtown Queenstown where you're kitted out with all the best canyoning specific equipment before you self drive or take our courtesy shuttle to the canyon location. It's a scenic 2 hour drive from Queenstown or 1 hour drive from Wanaka, with coffee and toilet stops along the way. We arrive at the canyon where we get dressed into all of our equipment and then take a 25 minute bush bash to the start of the canyon. Before we start your provided with a full safety briefing and demonstration from your professional and qualified guide. 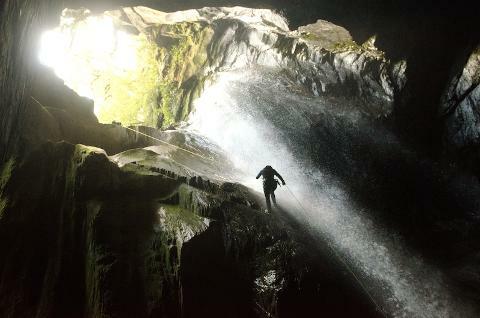 Your in the canyon for 3-4 hours where you will enjoy abseils of up to 30 metres beside beautiful pumping waterfalls, natural water slides, down climbs and jumps, some up to 10 metres! (don't worry the jumps are always optional). We finish the day with a picnic style lunch before we head back through Wanaka to Queenstown.